Adult/Teen Classes & Independent Studio. Click here to learn more. Workshops. Try a one-day workshop at the studio. No experience necessary. Kids' Classes. Wheel classes and family open studio options! Independent Studio. Open 3x a week to expand your clay skills. Gina DeSantis has been an educator for over thirteen years. She holds her MFA from Kent State University. Along with her talented instructors the studio offers up to four classes per work along with one-day workshops. 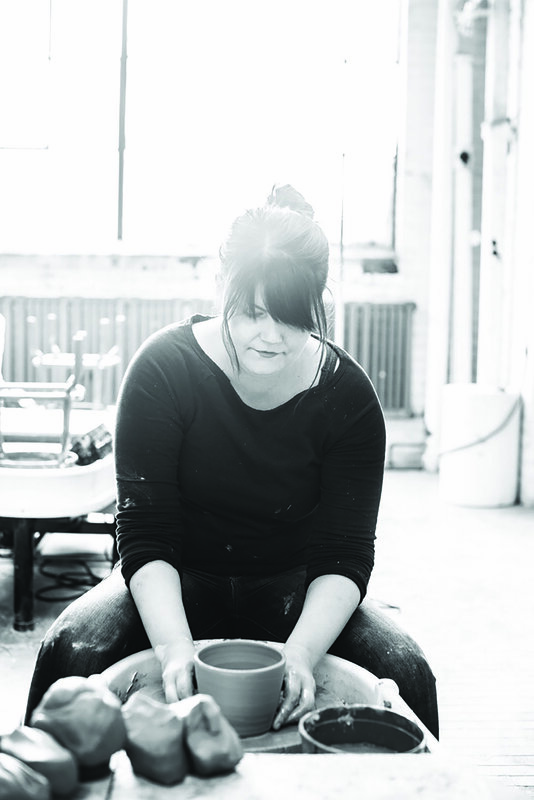 The community studio at Gina DeSantis Ceramics is the largest clay centric learning space in Cleveland. It is furnished with twelve potter's wheels, one slab roller, four electric kilns and over 250 glaze and slip combinations. We fire to cone 6 and use stoneware clay although porcelain can be purchased for advanced students. Each student gets one shelf space to use during the class session. Due the process of ceramics most of our classes are 6 weeks. This gives you the full experience of seeing your pieces from start to finish. Each piece you make will be fired twice before it is complete. Your class fees include this service! I recommend the Mon or Tues classes for our beginners. Wed and Thurs classes are also welcoming to beginners but include some intermediate topics as well. Don't hesitate to contact me with questions at ginadesantisceramics@gmail.com. Click here to read about our refund policy. See what my students have to say about the classroom!